Get top quality new and gently used home furnishings and décor. Save money with Stevan’s! Shop high-end brands with Stevan’s Consignment! Your source for quality home furniture and décor at affordable prices. 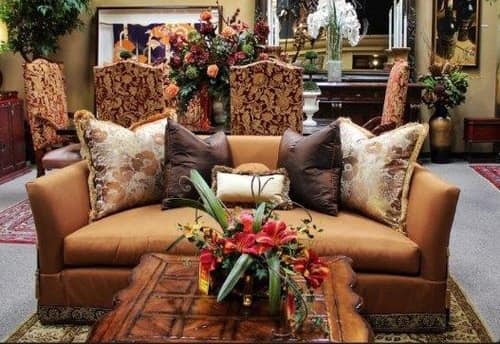 Stevan’s Consignment owner, Amanda Baldwin, continues the family tradition of offering unique, quality home furniture and interior design services with a focus on the customer. Stevan's has been serving the valley for over 25 years and our endless list of satisfied customers are proof that we have a keen eye for detail. You may visit our Scottsdale consignment store as well as our Paradise Valley consignment store. For your convenience, you can even browse our entire collection right here on our website. Take some time to look around and see why Stevan's Consignment is known around Scottsdale for high-end furniture and stunning art pieces, all in one place. Stevan's Consignment manages a collection of high-end furniture, lighting, rugs, tapestries, art, bronzes, mirrors, accessories, and antiques. Stevans guarantees quality furniture, professional services, expertise and care of each item when clients consign with us. Our consignors will also receive a full and open display for their items, along with professional marketing services. Ask about our 1-hour Complimentary Interior Design Consultation! Over the years, people acquire stunning pieces of furniture. A well-designed home combines these pieces with other furniture, accessories, and color to accentuate your vivid personality and unique style. We can help you find the right furniture and accessories through our quality services to take your vision and turn it into an awe-inspiring reality. Stevan's has been in the high-end furniture and interior design business since 1992. We are also the 3rd Generation of Stevan's Furniture and Interior Design. Like the original founders, we offer masterful interior design services and high-end home furnishings such as Maitland Smith, Theodore Alexander, Marge Carson and John Richards. We also offer custom florals, trees, draperies, bedding, pillows, throws and faux finishing. See an item that you like? Our website is updated often, however our inventory moves fast! Please call us first to see if the item you are interested in is still available. Helping you create your perfect space!